Blue Scientific is more than a typical distributor. We deliver the same level of service you would expect from dealing directly with the manufacturer. We are committed to providing you with the highest level of support. Your instrument will be installed by experienced engineers, trained by the official manufacturer. Applications support is of paramount importance. We are committed to listening to your needs and understanding your requirements. Training is provided according to your needs by expert specialists. We organise educational workshops and user meetings, to share knowledge about new techniques. Choose from a range of service contracts, calibration and preventative maintenance packages to suit your lab. From the start, you will have direct access to experts in your field of interest to ensure your success. We aim to provide the best possible advice and support, with emphasis on valuing our customers and building lasting relationships. 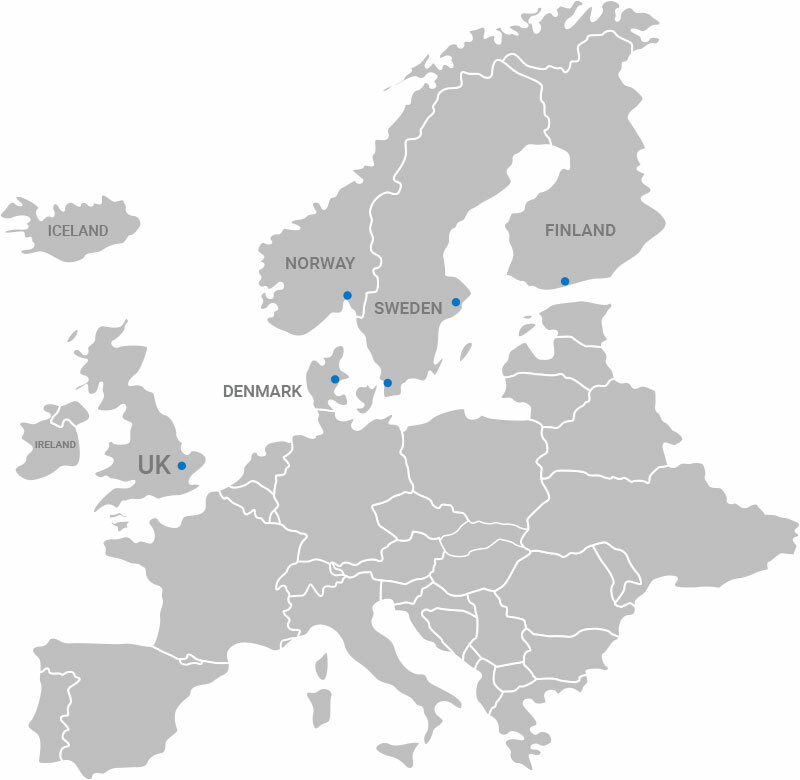 Our team is based regionally across the UK and Nordic region, giving you local support from PhD level engineers.